There is no reason why The Lady Vanishes should be the success it is. I’ve heard the film referenced in pop culture for years and have never watched it till last weekend. My reason for watching, without ever having seen the film, is that I am working on a novel, and the film is central to the novels main character. Films often have that sort of impact on culture or the psyche (I heard a woman on the radio last week cry the best thing she learned from watching the film Titanic was that it was a true story! True story!) 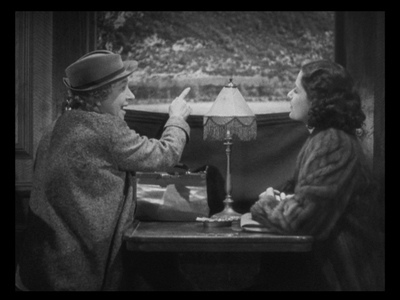 however it is rare that a film with as little going for it as The Lady Vanishes that survives strongly for so long. If one needs to calculate reasons why one would watch a film such as this, the best one is for the wonderfully witty sexual chemistry between the two leads. From my perspective they are not particularly likeable characters, but it is a real pleasure to watch the sexual chemistry between Iris Henderson, played by the genteel Margaret Lockwood, and the charismatic Gilbert Redman, sportingly portrayed by stage performer Michael Redgrave (The Lady Vanishes being his motion picture debut) – unfold. There is nothing special about the love story between the two leads, but risqué banter and a light playfulness despite the seriousness of the films themes work well as Hitchcock uses his considerable skill to manoeuvre his cast around them, forcing them into situations where they are physically close as well as emotionally. A rather soulless plot is given life as we watch these two people fall in love. I recently watched the Kurosawa film High and Low. Kurosawa made it no secret that he admired Alfred Hitchcock greatly. I couldn’t help notice the similarities in the train sequences. Hitchcock’s brilliant low-budget application of placing almost the entire film in just a few compartments on a train never feels claustrophobic or caged. 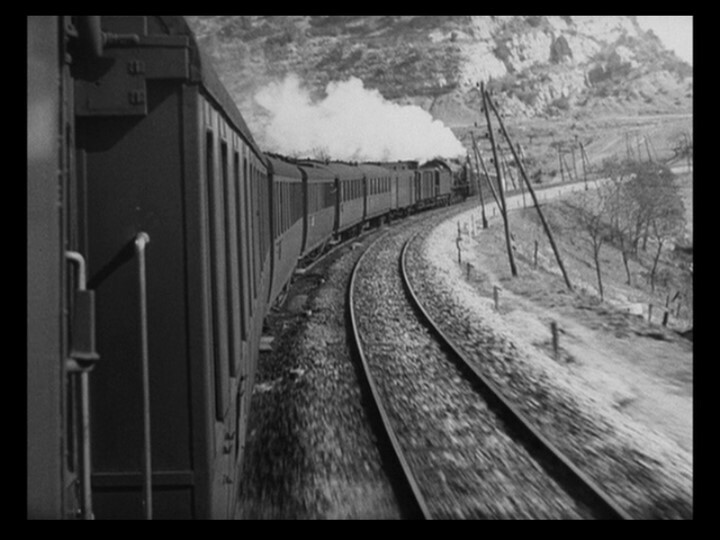 Kurosawa uses a similar setting to evoke different, but equally as complex emotions, as the police are rendered powerless by the kidnapper because they are trapped on the train. 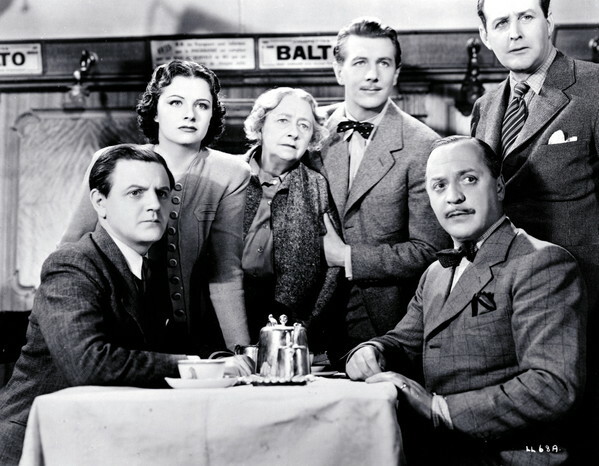 With all of the artistry and skill at work in The Lady Vanishes, the most astonishing thing is perhaps its political commentary, not the least of which is how a film like this even got through the British sensors at the time. The film is made in 1938 and more than anything else is a virtual commentary on the isolationist attitudes of the British, and their refusal to notice what was going on around them. One of the English passenger shouts amidst the gunfire with the conspirators outside the halted train, “They can’t possibly do anything to us, we’re British subjects”. It is especially disheartening to see how naïve people of the 1930s and 40s were toward the troubling events occurring in Europe. Hitchcock strikes home his political analysis with the Neville Chamberlain-like adulterer who, refusing to be labeled a pacifist but at the same time protesting any violent course of action, storms out of the train waving a white-flag in the direction of the foreign conspirators, only to be shot dead in his tracks. The director’s point is clear – England can not appease Hitler and survive. Censorship boards in England during the 1930s and 40s strictly prohibited British filmmakers from directly attacking the German government, now under the influence of Adolf Hitler and his Nazi regime. British governmental officials did so out of fear that Germany, a key economic partner, would end trading business with England if they were insulted. This however did prevent these same filmmakers from criticizing the British government’s attitude toward Nazi-Germany, unlike the United States in the 1920s, 30s, and 40s which hampered all efforts to motivate the people toward war with Germany. Alfred Hitchcock maintained his political neutrality throughout his career but it is quite understandable that he would exhibit hostility toward Germany in his films of the 1940s, especially in Lifeboat and Notorious. Hitchcock it seems is hardly sly about his political commentary in The Lady Vanishes, although this may be a bit more apparent today in the aftermath of the Second World War then it was when it was first released. The fact that the German government was never directly associated in the film was enough to appease the British government officials even if it made them look bad in the eyes of the British public. Context provides us with a hidden depth to The Lady Vanishes that is illuminated in hindsight. HOwever, for all this in my books it survives as just a great film with witty and clever dialogue (written by Sidney Gilliat and Frank Launder) filmed by a master film-maker. 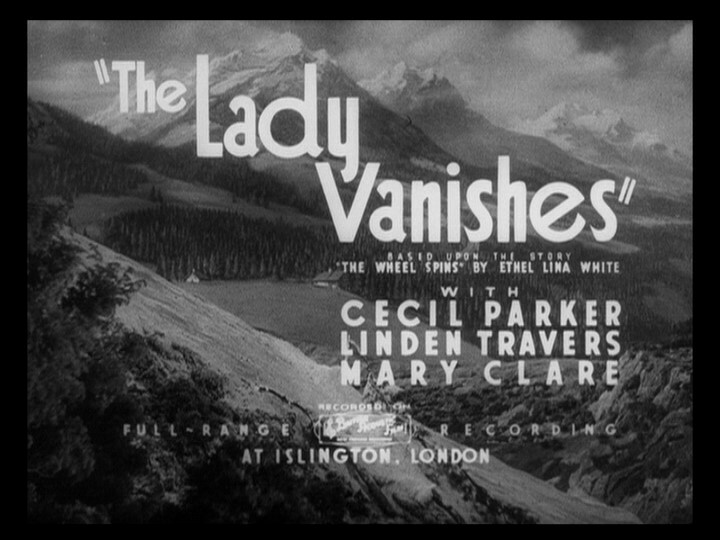 The Lady Vanishes is available to watch on You Tube.